This is a really cute pink mini Dachshund dog Bow Tie! 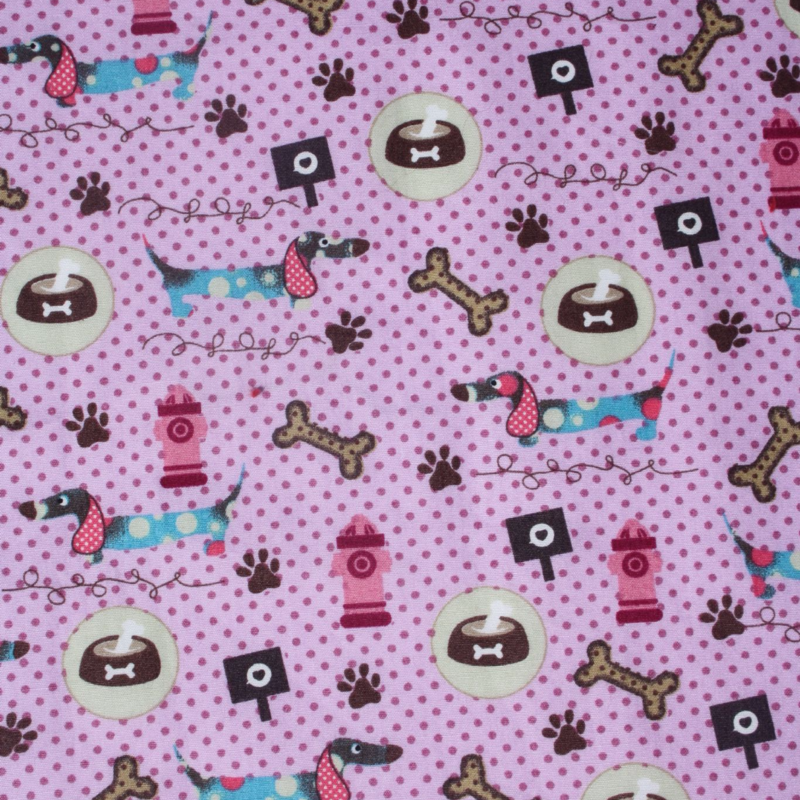 The background is a lovely soft pink/lilac, with a beautiful print incorporating spots, little sausage dogs, bones, pawprints, dog bowls, leads, mailboxes and fire hydrants. It's a sweet mini print, and is a lovely soft 100% cotton fabric. This bow tie is a great look for any dog, but particularly, of course, for dachshunds!